The Sound Effects Bible, by professional sound designer Ric Viers, is the penultimate resource for any beginning, amateur, or working sound designer interested in creating or bolstering a sound effects library. The quality and depth of this book is not surprising, as Viers’ experience in the field is considerable. 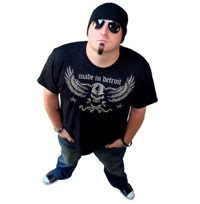 In addition to location sound design credits for major television networks, Universal Studios, Disney, radio programs and video games, Viers is also the owner of sound label Blastwave FX. Blastwave offers many of Viers’ 150 different sound effect libraries and 150,000 plus personally produced sounds for licensing to media professionals. 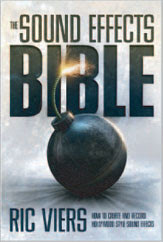 The Sound Effects Bible is a pleasure to read in that it offers indispensable expert knowledge and tips in a smooth easy-to-read manner, ensuring that beginning sound designers will understand the material while pros will be simultaneously be fascinated by the message. For beginners looking to get into the vibrant sound effects marketplace, this is book is literally a “how to” from A to Z on creating a profitable sound effects library. You will learn everything you need to know regarding sound effect types, the science of sound, hardware necessities, recording and editing tips, as well as strategies for cataloging and naming sounds. For professionals, the book serves to fill in any gaps in sound design knowledge and proves to be a great resource for inspiration in the creation of new sounds. As an experienced sound designer myself, I was completely taken by the suggestions and tips for creating the various types of sounds and have subsequently made lists of the processes and strategies that Viers suggests to try out in the future. After a general introduction on Viers companies, The Detroit Chop Shop and Blastwave FX, the first chapter gives a run down and explanation of the different types of sound effects including hard, foley, background, electronic and sound design effects. “Hard Effects,” for example, are the most common type of sfx, ready for immediate use in film, such as punches, animal sounds, etc, whereas as “foley sound effects” depend on performace to create usable and convincing audio. Understanding these five main categories and the differences between them is a fantastic mental framework for building and organizing a sound library. I found Chapter 8 to be a delightful chapter to read, entitled “The Ten Recording Commandments.” This chapter is extremely useful in pointing out potential problems that can occur during the recording process with the aim of getting recordings right the first time in order to be efficient. From experience, I know that recording and editing sound effects can be ridiculously time consuming and any tips that save precious time are always welcome. The chapter fleshes out the particulars of the Ten Commandments, but in brief they suggest including 2 second pre-rolls and post-rolls for each recording, recording more than needed, slating every take, check levels constantly, using headphones, eliminating noise, not interrupting takes, pointing microphones correctly, checking equipment frequently, and the biggest of all – not violating copyright. Armed with these Ten Commandments, a sound enthusiast will surely be a productive and effective sound recordist. Chapters 9 to 11 offers a huge variety of suggestions on finding the best sound locations, making the most of each location, designing and building a foley state, with detailed construction tips and sound proofing. Viers even goes so far as to outline the process for constructing a foley stage in a basement, accurately presuming that many indie sound designers might not have access to a stage or large building to build a foley area. Again, this chapter fully covers its topic and could very easily be the only resource one would need to build a foley stage or foley room. In addition, practical tips on recording foley, from what materials and props to buy to what to wear when performing foley is given in vivid detail. Interestingly, before Viers launches into the second half of the book, which covers an astounding variety of sound effect categories and how to record them, he first address the “importance of a detailed database.” This portion, Chapter 16, lays out the foundation of file naming and categorization. One might ask, why put this chapter before the actual recording process? Doesn’t the naming part of sound effects come after one records and edits that sounds? The answer is that a thorough understanding of how to title and catalog sounds is extremely important when you are editing and producing the actual files. Because, creating a distinct naming structure while processing the sounds saves vast amounts of time in the end. For example, if you were to record and cut 100 footstep sounds, for example, and simply named them “tennis shoe 1, “ “tennis shoe 2” etc. you would most likely have to go back and rename the files to include their broader category and description. As suggested by Viers, instead, a more appropriate and useful name from the onset would be “FOOTSTEPS TENNIS SHOE SINGLE STEP LEFT HARD WOOD FLOOR 01.” Viers lists the exact elements of this name structure which include, in this order: Category, Noun, Verb, Description, Number. The brilliance of this method is that it includes the category, description, and keywords in the title of the sound itself. This means that in terms of meta-data there is literally only the need for the title, as opposed title, category, description, and keywords. If you have catalogued sound effects before, then you understand what a perfect solution this is to supplying metadata with the least amount of hassle. If you have not cataloged sound effects yet, then I suggest employing Viers’ method. The final half of the book, beginning with Chapter 17, throws down massive amounts of spectacularily usable information for actually making specific types of sound. Termed “The Sound Effects Encyclopedia,” the remaining portions of the book are dedicated to discussing in great detail how to go about finding and recording all categories of sounds, whose broad categories include: Ambience, Animal, Cartoon, Crash, Crowd, Emergency, Electronic, Explosion, Fire, Foley, Foostep, Horror, Household, Human, Impact, Industrial, LFE, Multimedia, Musical, Office, Science Fiction, Technology, Vehicle, Warfare, Water, and Weather. Each main category, furthermore, includes sub-categories. For instance, the Horror effects category includes tips on how to create Blood Drips (add flour to water to create a more viscous liquid which sounds like blood), Flesh Rips, Guillotine, Knife Hacking at Body, Monsters, Vegetable Abuse, and Werewolf Transformation. As one can see, simply be reviewing the titles of the subcategories, there is an absolute wealth of practical sound effect creation information within Viers’ sound encyclopedia. The Sound Effects Bible is an invaluable resource for any person interested in doing sound design. Simply following the tips, techniques, and expert information provided in the book will lead a determined sound designer toward the creation and ownership of a valuable professional sound library that can generate income for years through licensing. For any professors or teachers of sound design out there, you could literally develop an entire college level course on sound design using this book alone. My only wish is that I could turn back time and somehow have read this book before embarking on my own sound career, as it would have saved me some headaches and unnecessary effort. However, as I’ve stated above, the book is still a solid resource of inspiration now and for years to come as I continue down the path of professional sound design. About the author: Adam A. Johnson is a music composer who owns and operates Architect of Sound ™, a music company that provides custom music scoring and sound design for Film/TV/New Media projects both in the U.S. and abroad with clients in Canada, Ireland, Haiti, Egypt, and Dubai. Credits include the United Nations, Aquafina-Pepsico, the National Endowment for the Arts, US Customs, Exxon, NYC Mayor Bloomberg and more. Additional services include sonic branding, foley, audio sweetening and mixing, and music supervision. He also owns and operates the sound effects library SFXsource.com.